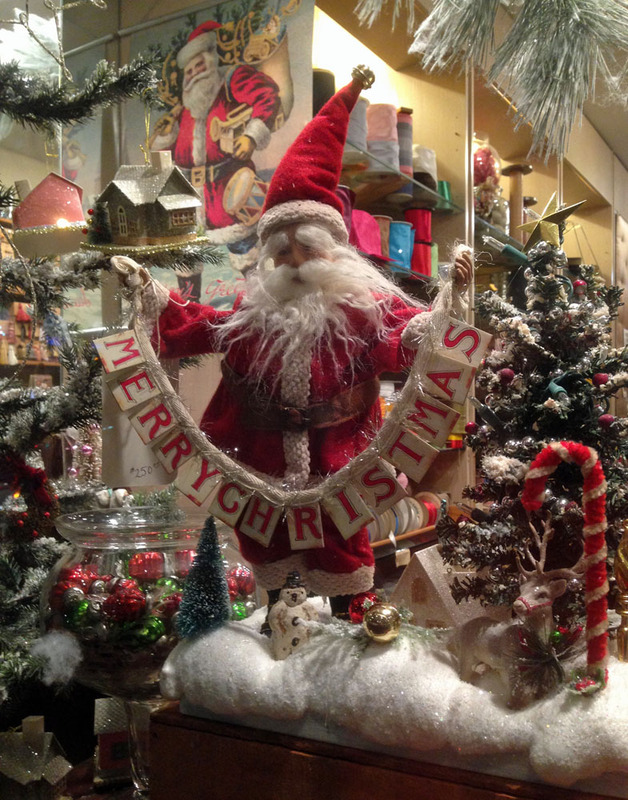 This charming Santa Claus has been holding up his banner all season long in the window of Tinsel Trading, one of my favorite shops in New York City. He is somewhat elf-like, not as portly as the more traditional 20th century American Santa in the background. There is room for many versions of Santa. He is an idea, an embodiment of goodness, cheer and giving. Whether yours is skinny or chubby, jolly or dignified, St. Nicholas, Father Christmas, Sinterklaas, Kris Kringle or Pere Noel, I hope he brings to you the very best of Christmas.